Hands up who loves wraps? Now hands up who loves Disney? If that has left you with both hands up in the air then I have something very exciting to tell you – our family favourite Mission Wraps have just released a new and very awesome line of children’s wraps in partnership with Disney! Mission Wraps have been a staple in our household for the last few years. We love wraps because they are just so easy and such crowd-pleasers. If you have a fussy eater at home you will know how important that is. 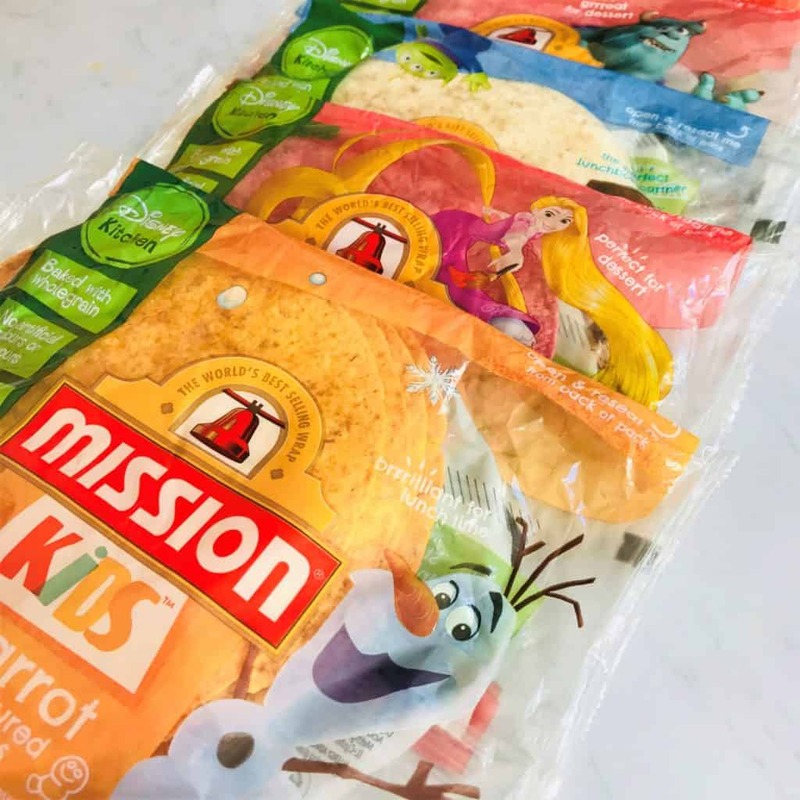 The new line of Mission Disney Kitchen Mini Wraps take things to another level though with fabulous new flavours including carrot, tomato ketchup, plain wholegrain and strawberry. The wraps are part of the Disney Kitchen family and have brilliant packaging featuring Disney characters that children know and love. But they don’t just look the part. The wraps are also low in sugar, have no artificial flavours or colourings and are made with wholegrain to help make balanced choices easier for parents. Plus, all wraps in the range are under 100 calories. Hurrah! The great news is that there is SO much you can do with these fantastic wraps whether it be breakfast, lunch, after school snacks or a light dinner. However, today I’m going to share with you some of my favourite things to make with them at breakfast time which even the fussiest of eaters won’t be able to pass up! Animal faces never fail to please little ones at breakfast time and are a great way of getting them to eat all manner of fruits and sometimes even vegetables in the name of cuteness. With Easter coming up of course it just had to be a bunny rabbit face and what better wrap to use than the Mission Kids Disney Kitchen carrot wrap? Simply spread some cream cheese over the wrap to create the face, slice up some banana for the ears. For the rest of the features the beauty of this is that you can use whatever you have in stock. I used banana, plum, breadsticks, cereal and some leftover wholegrain pasta from last night’s dinner! Let your imagination rule the roost on this one. This literally takes all of thirty seconds to make – I kid you not! 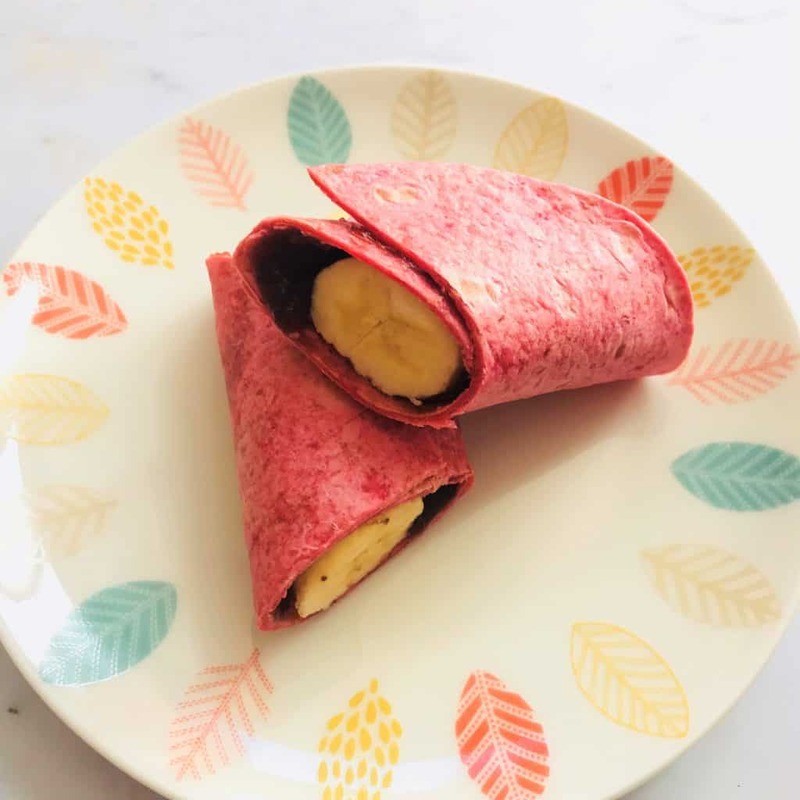 Simply grab a Mission Kids Disney Kitchen strawberry wrap, spread with a low sugar jam (personally, I use a Stevia-based jam to keep the sugar down), pop a whole banana in and roll it up. For a savoury take on this you could also swap the strawberry wrap for the tomato ketchup wrap and fill with scrambled egg instead (without the jam of course!). So easy your littles can make this for themselves! Who doesn’t love pizza for breakfast? Yes it might seem like a bit of a guilty pleasure but this one is super healthy, I promise, and again takes seconds to make. 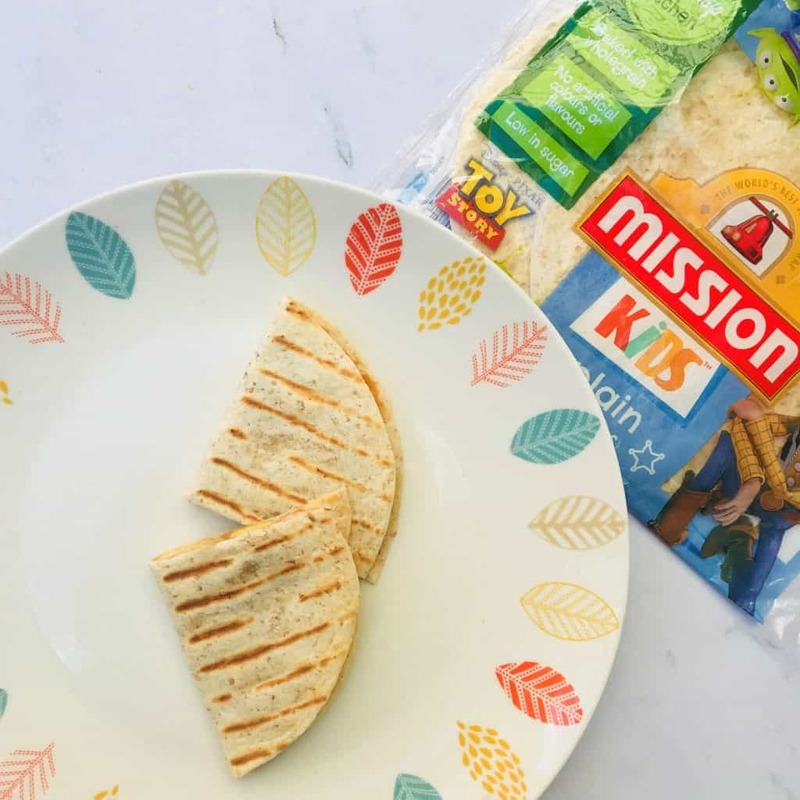 Grab a wholegrain Mission Kids Disney Kitchen wrap and spread with peanut or almond butter. Sprinkle some nutty granola over it (there are some really good low sugar ones out there in the shops) then chop up and sprinkle with the eater’s favourite fruit. If you have more time you could also briefly bake the wrap to make it ever so crispy and set out a healthy toppings bar to let the kids choose their own as a weekend treat. This is where our obsession with Mission Wraps first started so it would be rude not to include this! Again this is the sort of thing you can experiment with but I’m including our classic rendition. Simply grab a Mission Kids Disney wholegrain wrap, spread generously with peanut or almond butter. Cut up some banana and cover one side of the wrap. You can also sprinkle some chia seeds onto this for some extra nutrition. Fold over and pop on a hot griddle pan for a minute either side. The bananas and peanut butter go deliciously squishy inside making this absolutely irresistible! 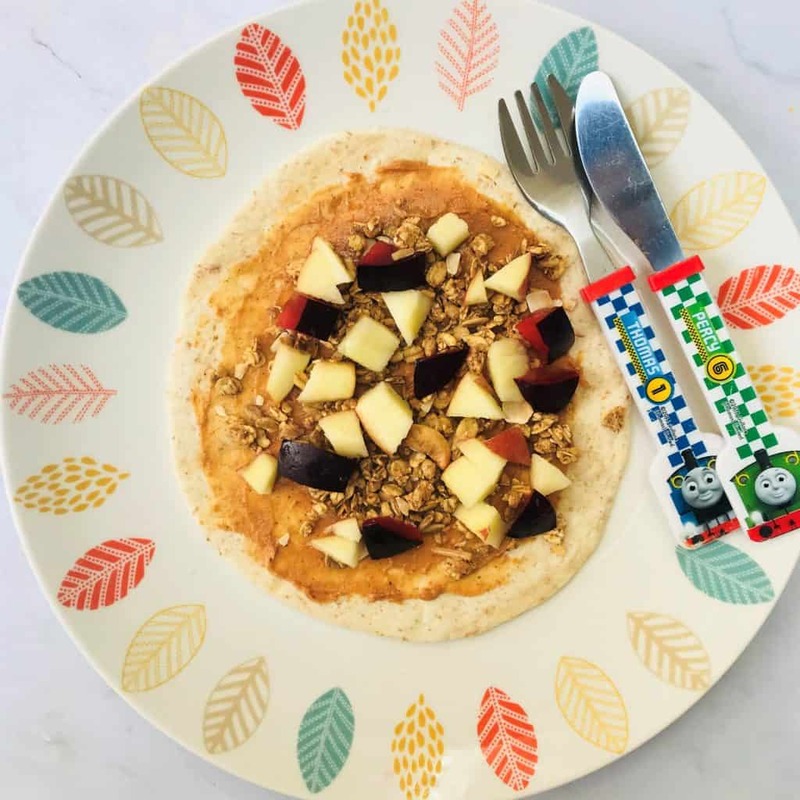 These are our favourite easy and healthy breakfast ideas using Mission Kids Disney Kitchen Wraps but there are lots more fantastic recipes over on the Mission Wraps website to check out. 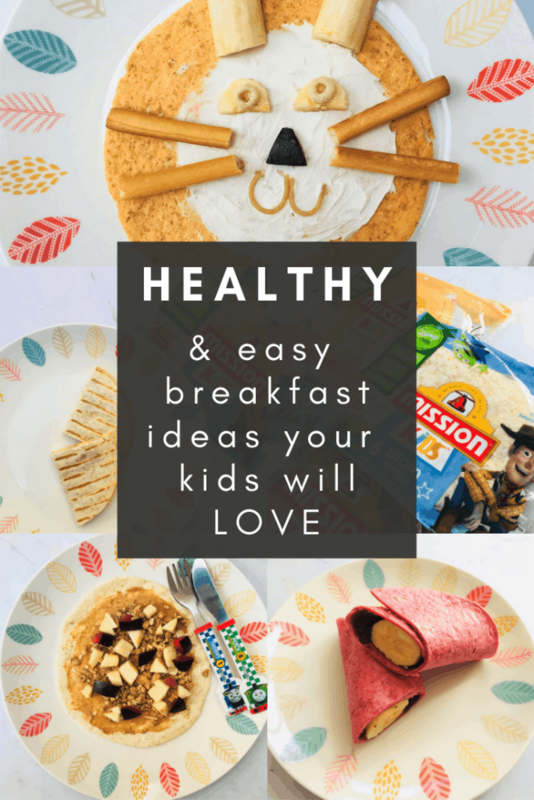 If you are hitting a wall when it comes to easy and healthy breakfast ideas then why not stock up on some Mission Kids Disney Kitchen Wraps and give one of these a try? Which of the above do you think your children would enjoy the most? Do leave a comment and share. 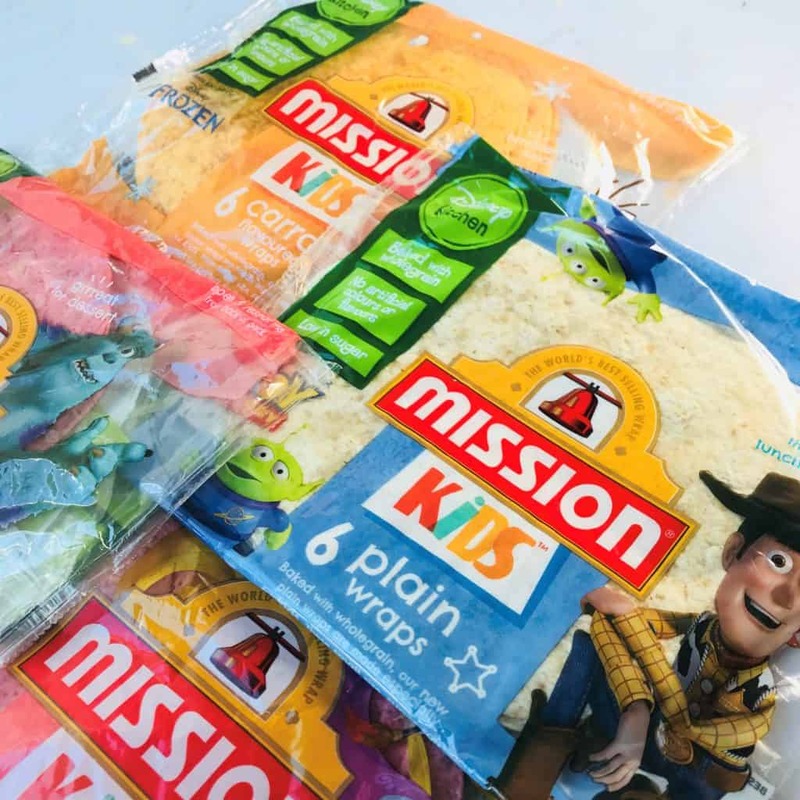 Mission Kids Disney Wraps are available at ASDA, Tesco and Morrisons and cost £1.29 for a pack of six wraps. I saw these wraps in Tesco the other day and was so happy to see something so new and different to offer the kids. For some reason my toddler hates it if I try to make a sandwich out of them but loves it when I cut them into small triangles! I’m going to try the animal face next! These are so cute! A fantastic way to make healthy food fun. We don’t use wraps enough and you’ve given me some great ideas for snacks, thanks! Tomato ketchup wraps … they’ve clearly met my son already!! He lives on both .. stick some cocktail sausages inside – that’s him sorted! Great ideas for wraps. I need to include these wraps in my weekly shopping now. Oh, my boy would love these. He’s not a big wrap fan but I think the likes of Woody could convince him. Oh wow I haven’t seen these before but we do love wraps! They are one of the only things Harry will eat! I have seen small wraps like these but never bought them for the children. These are great recipe ideas. We love wraps in our house. Quesadillas are one of our go to lunches. These look yummy . The kids would love strawberry flavoured wraps! Totally saving these kids meal plans, they look so healthy and I’m always looking for ideas!! Oooh this looks absolutely yummy, we have not tried these wraps yet but we love Disney so we have to soon. Oh man, these looks so deliciuos . I need to try this with my toddler. Your’e ideas are so awesom. Thank you! Oh I love your ideas! Especially liked the banana wrap – that would go down well with the children.